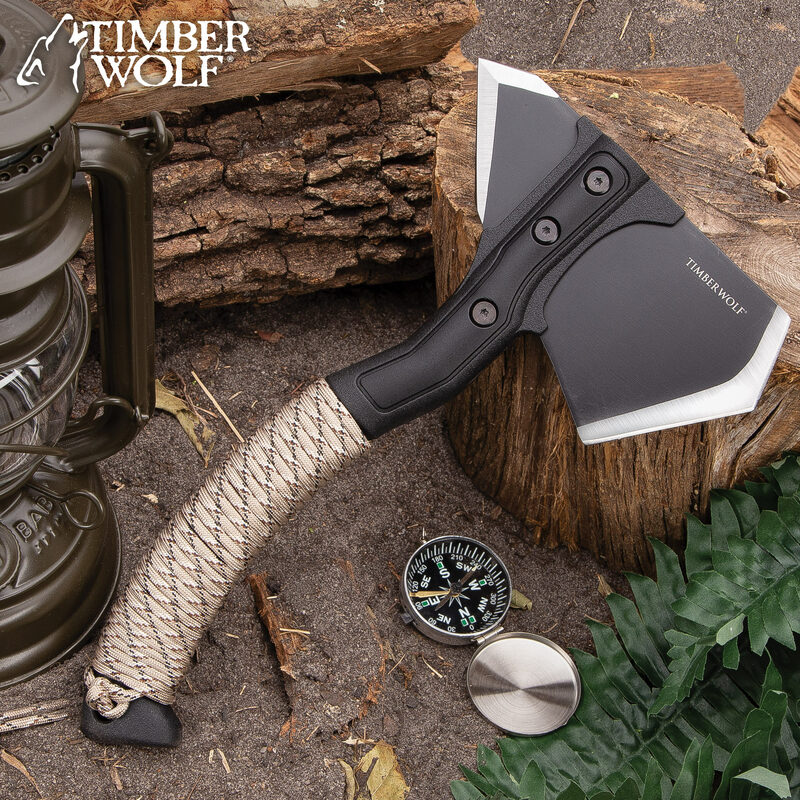 The Timber Wolf Survival Axe is a compact survival tool that is an absolute essential addition to a bugout bag, survival gear or camping and hiking gear. It has a keenly sharp, 3 1/2mm thick, 6 1/2”x 3 1/2” stainless steel axe head with a black, non-reflective coating and it’s secured to the handle with sturdy screws. The sturdy ABS handle is wrapped in olive drab paracord, which goes down through a lanyard hole into a wrist lanyard. The axe is 11 1/4” in overall length and the head is protected by a nylon belt sheath, which also makes it convenient to carry.